Composed of flowers, weeds and thorns. For different gifts they’ve given me. Flowers bloomed beauty in my path. Weeds put obstacles before me. Thorns taught grappling with problems. All were life lessons necessary. Ready to grow what seeds are planted. Time to be one rose complete. For more is less and less is more. It is like you are speaking right to me. Thank you. Sounds like you’ve learned to Abide. Abide.That’s a great word to describe what I mean! Thanks and <3. If you choose to accept, which I hope you will you need to follow 4 rules. 1. Thank the blogger who nominated you. 2. List the rules and display the award. 3. Share seven facts about yourself. 4. 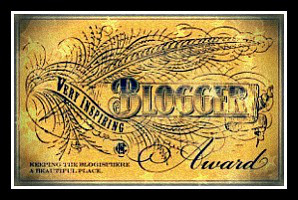 Nominate (15) other amazing blogs and comment on their blog to let them know you nominated them. I love the metaphor. Nicely rendered. There is such honesty in this haiku. Thank you for sharing.